Canon's EOS 80D is a mid-range DSLR that's equally confident whether shooting through the traditional optical viewfinder or in Live View with the fully-articulated touch-screen. The new 24 Megapixel APS-C sensor may have four more Megapixels over the earlier 70D, but importantly upgrades the Dual Pixel CMOS AF system that now supports smooth and confident refocusing with the entire EF lens catalogue, and in 1080p movies up to 60p. Meanwhile the new viewfinder AF system sports a broader and denser array of AF points than the 70D and works down to dimmer light levels of -3EV. But beyond addressing some feature shortfalls with the 70D and rival Nikon bodies, there's not a great deal that's really new here and crucially for a camera which otherwise excels at movies, there's still no 4k video. But equally there's no denying the charm of the EOS 80D. There's something highly compelling about composing stills - especially following action - through a traditional optical DSLR viewfinder, then switching into Live View and knowing you have one of the best AF systems around for movies. I also love having a fully-articulated touch-screen and built-in Wifi, and while a handful of powered zooms have been available from other manufactures in the past, it's nice to see Canon offering one for its EOS system. A solid all-rounder. Check prices on the Canon 80D at Amazon, B&H, Adorama, or Wex. Alternatively get yourself a copy of my In Camera book or treat me to a coffee! Thanks! The EOS 80D makes a number of key improvements over its predecessor, but its core appeal remains unchanged: the speed and confidence of a traditional mid-range DSLR coupled with one of the best movie and live view autofocus systems on the market. This gives you the choice of uncompromised shooting whether you’re using the optical viewfinder or the fully-articulated touch-screen. The earlier EOS 70D really did give you the best of both Worlds and now the EOS 80D enhances it further. For me the most exciting part remains Dual Pixel CMOS AF. This technology, which allows 80% of the sensor area to double-up for phase-detect autofocus, then cunningly switch back to image or video capture, still feels revolutionary. It really allows the camera to confidently refocus without hunting, almost regardless of where the subject is on the frame. It works brilliantly with face detection driving the system, or you can simply tap anywhere on the screen and watch it smoothly adjust as desired. In my tests it’s most comfortable with subjects moving in a leisurely fashion, so don’t expect to track fast action in Live View or movies, but in the right circumstances it works like a dream. The only cameras that’ll track faster action in Live View or movies are Sony’s A6000 and A6300. The EOS 80D marks the fourth appearance of Dual Pixel CMOS AF on its traditional DSLR series, following the EOS 1Dx Mark II, 7D Mark II and 70D before it. It works so well in Live View and movies that I’d love to see Canon to offer it on all of its cameras, DSLRs and mirrorless, but alas it continues to be fairly exclusive, but at least it’s now on twice as many bodies as it was last year. On the EOS 80D, Canon’s boosted the sensor resolution from 20.2 Megapixels on the 70D to 24.2 Megapixels here – not a significant leap, and one you’ll barely notice in real-life situations, but an important one in terms of marketing to bring it in-line with Nikon, Sony and Fujifilm. That said, like earlier Canon cameras, the default image processing softens the ultimate detail, so to see what the camera’s capable of, either choose a sharper Picture Style with less noise reduction, or shoot in RAW and process to your taste. I should also note the 80D, whether shooting in JPEG or RAW, still falls behind the ultimate crispness delivered by the Nikon D7200. But there’s more to the new sensor than just pixel-peeping comparisons: while the earlier 70D and 7D Mark II only supported Dual Pixel CMOS AF on recent lenses and at movie modes up to 30p, the EOS 80D’s sensor now supports it across all lenses new and old and at 1080 frame rates up to 60p. Movie makers will also appreciate the addition of a headphone jack, along with the chance to adjust the speed and response time of movie refocusing. This is all good news, but I’m sorry not to find 4k video here, especially as it’s now available on the EOS 1Dx Mark II. Canon has to be very careful here as both Panasonic and Sony are now offering 4k on mid-range mirrorless cameras costing the same or less than the EOS 80D, and Sony couples theirs with a hybrid AF system that feels as confident as Dual Pixel CMOS AF in practice. Considering there’s historically been three years between Canon’s xxD models and two or less between those from Sony and Panasonic, the EOS 80D will end up looking old fashioned sooner than later. Beyond the sensor, the other major upgrade concerns the AF system which enjoys a decent jump from the 19-point system of the EOS 70D to a new 45-point system here. All points remain cross-type, but now 27 of them will work at f8, allowing you to autofocus with slower lenses or those combined with teleconverters. The new AF system also works in much lower light levels than before, down to -3EV compared to -0.5EV on the 70D. If you shoot action under artificial lighting, you’ll also appreciate the presence of flicker detection introduced on the EOS 7D Mark II, and the maximum sensitivity also enjoys a small boost from 12800 to 16000 ISO, although the expanded maximum remains 25600 ISO. The presence of a DIGIC 6 image processor now supports in-camera timelapse shooting for stills and videos, not to mention movie effects absent from the 70D, and while the continuous shooting speed remains at 7fps, a new motor-driven mirror mechanism reduces operational noise and vibration. Beyond this, Canon has tweaked the viewfinder to deliver 100% coverage as oppose to the 98% quoted for the 70D, and now couples the built-in Wifi with NFC. 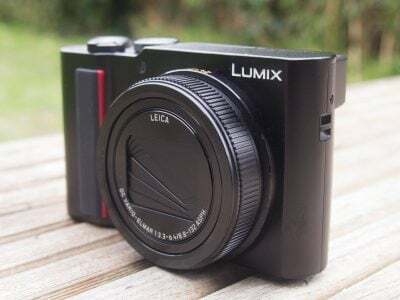 The 80D also enjoys the benefit of the smartphone app having been updated several times and merged with the point-and-shoot version to form the more capable and coherent Canon Camera Connect (albeit without GPS logging for EOS cameras). And don’t forget the EOS Utility for MacOS and Windows which may not be new, but offers a fantastic remote control experience with your computer over USB or Wifi. One of the unexpected features of the EOS 80D concerns the new EF-S 18-135mm IS USM kit zoom and the optional PZ-E1 accessory, which motorises the zoom, letting you adjust the focal length using a rocker control or by remote control with the smartphone app. Motorised zooms are invaluable for smoothly adjusting the focal length while filming video and while there’s no news whether the PZ-E1 motor accessory will work on other lenses, it still gives the 80D a welcome capability compared to many (but not all) rivals. Arguably the biggest rival for the EOS 80D is Nikon’s D7200. Both are weather-sealed upper mid-range DSLRs with 24 Megapixel APS-C sensors, large viewfinders with 100% coverage, broad and dense AF arrays, decent continuous shooting capabilities, 1080 / 60p video, mic and headphone jacks, and built-in Wifi. Many of the EOS 80D’s upgrades feel a lot like Canon specifically addressing shortfalls of the earlier EOS 70D against the Nikon D7100 and D7200. The expanded viewfinder coverage, broader and denser AF array, the addition of a headphone jack and a built-in interval timer – all features present on the D7200, not to mention its predecessor the D7100. Canon’s upgrades bring the two bodies much closer than before, with fewer benefits remaining for the Nikon D7200. The crisper output from a sensor bereft of a low pass filter, the convenience of twin memory card slots, and the arguably superior tracking of the 3D autofocus system are the pros of the D7200 over the 80D. On the other side, the 80D boasts a fully-articulated touch-screen, far superior autofocus for movies and during Live View, and access to a kit zoom with a motorised zoom accessory. You’re probably coming to the same conclusion as me at this point: both are great cameras that perform well for stills and movies, but the Canon is superior for video and the Nikon has the edge for photos, while also coming in slightly cheaper due to age. See my Nikon D7200 review for samples and comparisons. Another major rival for the EOS 80D is Sony’s Alpha A6300. This mirrorless camera may be physically a world-apart from the EOS 80D, but the two actually share a lot in common: they both have 24 Megapixel APS-C sensors, they both feature confident movie autofocus across the frame with control over the AF speed and sensitivity, they both sport broad and capable tracking AF capabilities, and they both have motorised zooms available. Oh and they’re both weatherproof and feature built-in Wifi with NFC. In its favour, the Sony A6300 boasts higher resolution 4k video, 1080p at 120p (double the 80D’s maximum frame rate), faster continuous shooting whether at 11fps with no live update or 8fps with live view, focus peaking, flatter profiles for grading, USB charging (and power) and a panorama mode. 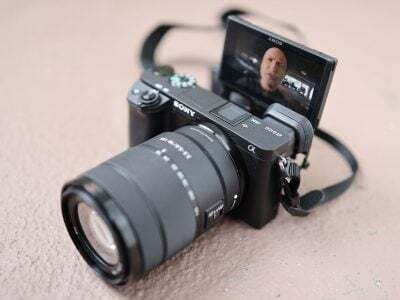 As a mirrorless camera, it’s also smaller, lighter and employs electronic composition which offers a larger viewfinder image with the chance to compose movies, playback images and deploy numerous focusing aids. In its favour, the EOS 80D features a fully-articulated touch-screen which can turn to face the subject, along with a headphone jack and an optical viewfinder which may not be able to compose movies but doesn’t become noisy in low light nor chew through your battery. Sony really ought to have won this particular battle by matching the movie AF and capturing higher resolution 4k or higher frame-rate 1080p, but the absence of a fully-articulated touchscreen and headphone jack limit it for certain video applications. Vloggers for instance need to see themselves while filming and there’s few serious videographers who don’t want a chance to monitor the audio. This makes the choice between them harder than it could have been. See my Sony A6300 review for more details. Before wrapping-up, there’s another camera you should be considering: Canon’s earlier EOS 70D, discounted as a three-year-old option, but still offering the same core premise of the 80D. Both are hybrid DSLRs which offer a great experience whether shooting stills through the optical viewfinder or movies with the fully-articulated touch-screen. Both have Dual Pixel CMOS AF for confident focusing in Live View and movies, along with built-in Wifi. The differences are all in the 80D’s favour: a broader and denser 45-point viewfinder AF system versus 19-point on the 70D, AF at lower light levels of -3EV versus -0.5EV, a viewfinder with 100% coverage versus 98%, the presence of a headphone jack, NFC and in-camera timelapse, the chance to adjust the movie AF speed and response, and the ability to deploy Dual Pixel CMOS AF on the entire EF lens catalogue as oppose to recent lenses and at 1080p at 60p rather than 30p. There’s also 24 Megapixels to the 70D’s 20 Megapixels, but if it’s crisper details you’re after, you’ll do better with the Nikon D7200. As for the new kit zoom and motorized zoom accessory, both will work on older models – the only advantage of the 80D is being able to adjust the zoom using the smartphone remote control. If you can live without the improvements though, the EOS 70D remains a highly compelling option, especially at its lower price point. See my Canon 70D review for more details. The EOS 80D takes the flexibility of the earlier 70D and upgrades a number of key aspects. As such you get the confidence of a mid-range DSLR coupled with arguably the best movie focusing system around, now with a higher resolution sensor and improved viewfinder AF system. In my tests I didn’t notice much benefit in resolving power to the four additional Megapixels and in terms of ultimate crispness the 80D still falls behind the D7200. But the new sensor importantly allows the 80D to deploy Dual Pixel CMOS across the entire EF lens range and at 1080p frame rates up to 60p. The new viewfinder AF system is also about more than just having a broader and denser array of AF points than the 70D: the ability to operate down to much dimmer light levels of -3EV and for 27 of them to work at f8 makes it much more usable in tougher conditions. But beyond addressing some feature shortfalls with the 70D and Nikon bodies, there’s not a great deal that’s really new here and crucially for a camera which otherwise excels at movies, there’s still no 4k video. Remember Panasonic offered 4k on a mid-range mirrorless body almost a year ago, and Sony now has it on the A6300 complete with an embedded PDAF system which rivals the confidence of Canon’s Dual Pixel CMOS AF. While many videographers won’t need it yet, I still feel it’s dangerous for Canon to skip it on this generation, especially when EOS xxD bodies are typically three years apart. But equally there’s no denying the charm of the EOS 80D. There’s something highly compelling about composing stills – especially following action – through a traditional optical DSLR viewfinder, then switching into Live View and knowing you have one of the best AF systems around for movies. I also love having a fully-articulated touch-screen and built-in Wifi, and while a handful of powered zooms have been available from other manufactures in the past, it’s nice to see Canon offering one for its EOS system. Of course all of this is available on or for the EOS 70D, so if you’re happy with 20 Megapixels, a 19-point AF system and ‘only’ having Dual Pixel CMOS supported on recent lenses and at 30p, then you may be able to bag a bargain – check out my Canon 70D review for details. But none of this takes away from the EOS 80D as a new camera which fulfills its role in delivering a big step-up from Canon’s entry-level DSLRs whether you’re after traditional speed and handling or modern movie focusing, without the cost or heft of the semi-pro 7D series. While I’m frustrated there’s still no 4k video, the 80D continues to strike one of the most compelling balances of features in the entire EOS range. 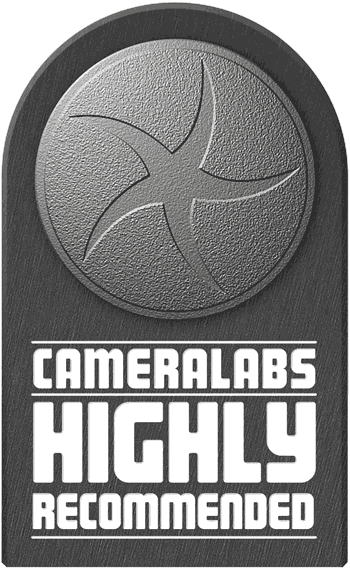 As an all-round hybrid camera for stills and movies, it comes Highly Recommended. Good quality 24 Megapixel stills and 1080p movies. Large viewfinder with 100% coverage and on-demand grid lines. Broad and dense 45-point viewfinder AF system. Superb continuous AF during Live View and movies. 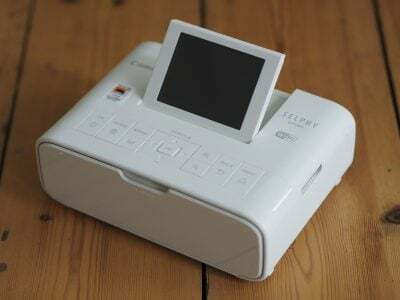 Built-in Wifi / NFC with smartphone or computer remote control. No 4k video or 1080p above 60p for slow motion. Still photos a little less crisp than those from the D7200. Doesn’t have twin memory card slots. No GPS / location logging on smartphone app.